Q. Does my pool require temporary fencing? Once a pool is installed it will require at least a metre of water in it before the 2nd stage backfill can be completed. 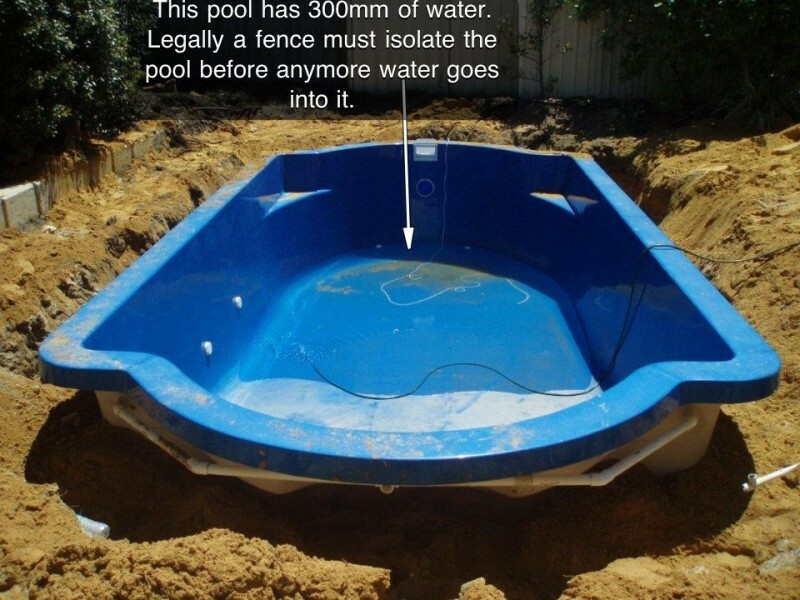 It is the responsibility to provide adequate fencing prior to water going in pool. Q. Does your fence comply with all councils? A. Our fencing complies with all councils, there are a couple of councils that require extra attention to the fencing when installed. For more information please feel free to phone our office or 0439 954 467. Q. Who installs the temporary fence? A. Consolidation Enterprises will install the fence to satisfy the council. Q. How much notice is required for the fence installation? A. Generally we can work off 24 hours, but during the busy season it is always best to try and provide as much notice as possible to avoid disappointment. Q. If the fencing needs to be altered after it is installed will there be extra charges? A. If the alterations need to be rectified because of council recommendations there will be no charge for altering the fence. If the fence needs to be altered due to renovations or outside factors Consolidation Enterprises will charge a minimal call out fee. Please contact office for more details. Q. How long can the fence stay on site for? A. The fence can stay on site as long as you wish, once the initial instalment has been paid there is a minimal monthly payment which will be invoiced out every month until the collection of fence. Did you know it is a Council requirement to have provisional temporary fencing installed prior to any water entering the pool. Failure to comply could cost you dearly, with fines of up to $5000. Legally only a maximum of 300mm of water is allowed inside the pool shell before the council can impose penalties such as fines or possible drainage. Due to the nature of installing a pool, permanent pool fencing cannot be installed straight away often leaving you open to legal problems or fines. 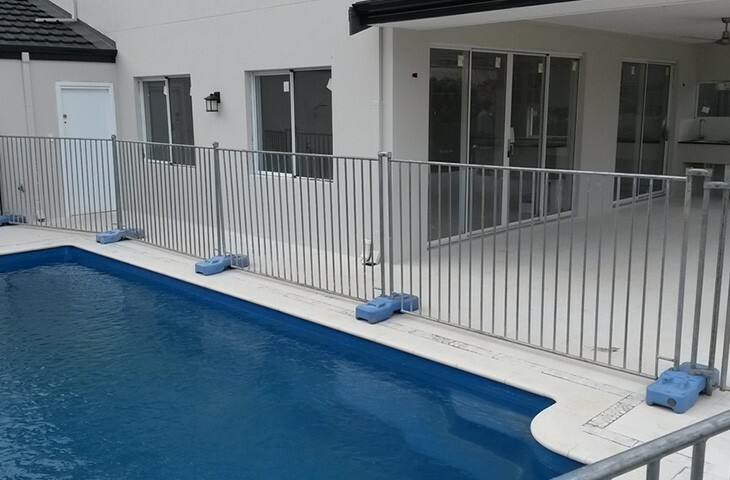 Our sturdy fences meet WA Council requirements and can be errected as soon as your swiming pool is delivered. Our fast and efficient next day installation service guarantees we can keep you compliant with local bylaws and safety legislation.